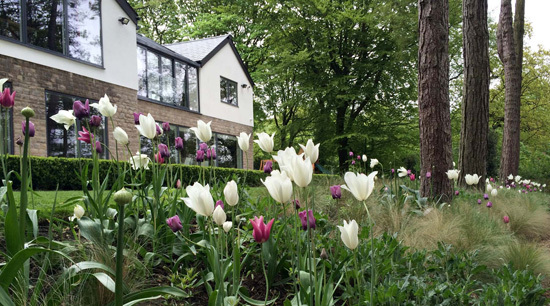 Curve are very excited to be working in collaboration with garden designer Barrie Thompson at a property in Uppermill, Saddleworth. Curve worked with the clients during 2013 on the conversion of a run down Victorian cottage in the heart of the village. The brief involved completely renovating and decorating and furnishing the property, replanning the internal space and creating a beautiful environment for a hugely interesting couple, which was finished off perfectly with their collection of geology, music and travel artefacts. During the early Spring of 2014 the client moved back permanently to the UK from Texas and the time was right to move onto the design of the exterior of the property. Curve met Barrie Thompson following us both being shortlisted at the Northern Design Awards in 2013, it seemed that the ethos and styles of the two companies complemented each other perfectly and we looked forward to a time when we could work together. 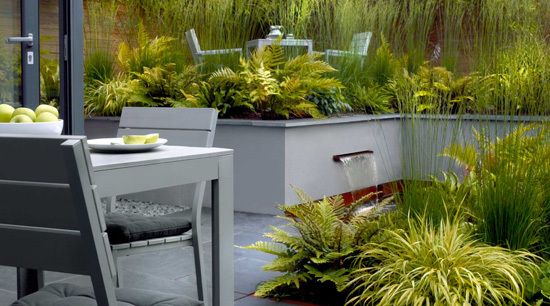 Barrie Thompson Garden Design is one of the UK’s up and coming garden design practices, offering a comprehensive design service for any garden or outside space. Based near Manchester, the studio aims to create contemporary gardens and landscapes that offer depth, using layers, textures and contrast. We met with Barrie and discussed the possibilities for designing the exterior space at Uppermill, the property has a rear courtyard garden, a space to the side of the house which needed to include car parking, and a small garden to the front of the cottage. Barrie then met and agreed the project with the client, and has now embarked on the design after discussing the brief with them. Contemporary and classic with a touch of anarchy and rebellion. The contrasting elements will mainly come from the planting which will evolve throughout the year. 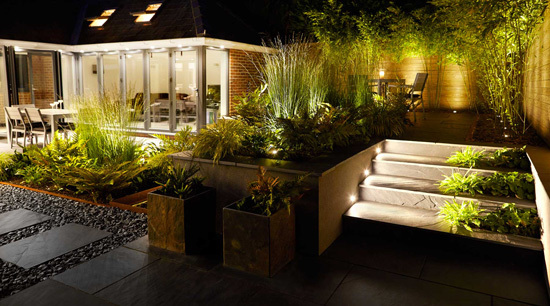 It must also be a restful and relaxing space on those late summer evenings, so a sense of seclusion and privacy is important. We are very much looking forward to following progression of the project throughout the year – followed by further collaborations which are in the early stages of discussion, including another garden design in South Manchester, and a living wall in a city centre apartment.